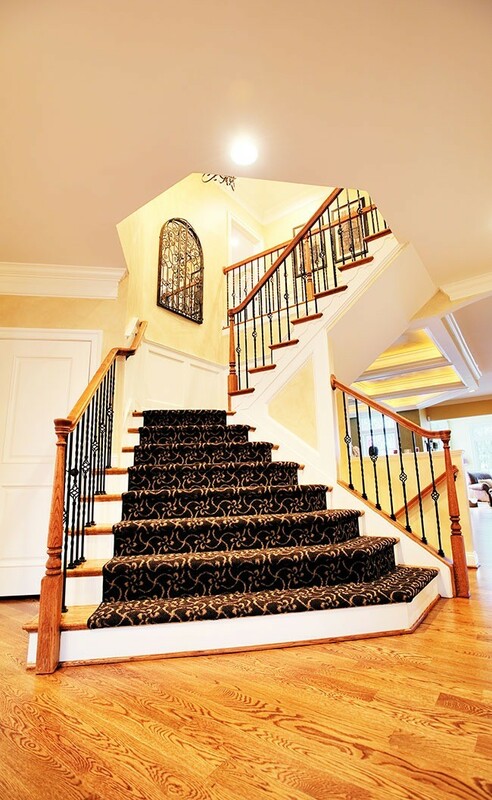 If you’re looking to refresh your stairway, consider adding wainscoting! Wainscoting on your walls creates a beautiful design element in your home – because it follows the line of the stairs and helps lead the eye up. However, not only is it lovely, it also serves a purpose. By adding wainscoting to your walls, you are helping protect your walls from the daily wear tear of being one of the higher traffic areas in your home!